One of my favorite things to do when in parts of Atlanta I rarely see or have never seen, is to figure out what certain buildings used to be. This fascination is in part why I created this site. With the popularity of last year's Blockbuster Video post, I thought I would explore another business of yesteryear. Donatos Pizza, though not as well known as Blockbuster Video, featured rather recognizable structures, many of which still stand today. The relatively small Columbus, Ohio-based pizza chain was started by Jim Grote in 1963. By 1998, Grote had nearly 150 locations of franchised and company owned restaurants. Oak Brook, Illinois-based McDonald's took note of Grote's success and purchased his company in 1999. 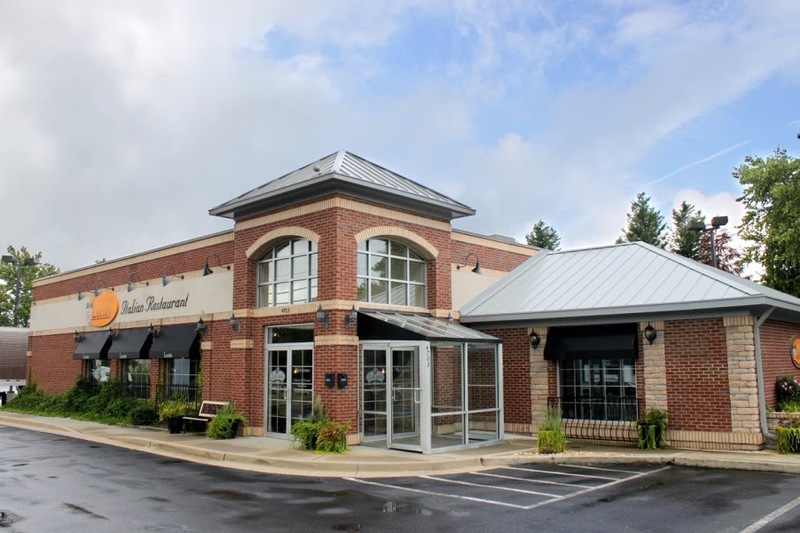 With new McMoney, Donatos accelerated its growth, perhaps too fast, expanding in the Atlanta market, which they had first entered the year before. 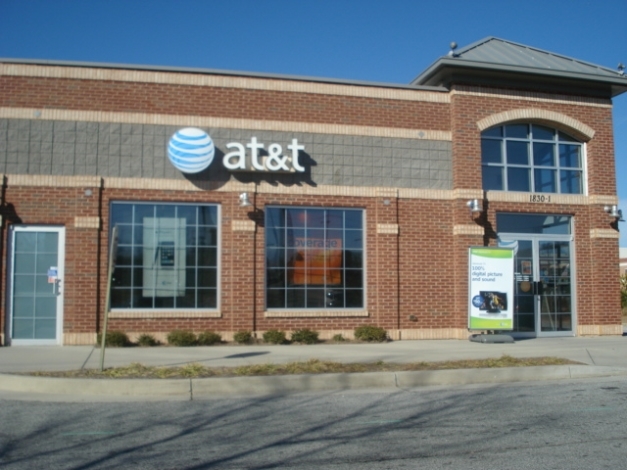 In total, 23 locations were opened in metro Atlanta. I recall going to the grand opening of the restaurant in Toco Hills, and also seeing others in East Cobb and Holcomb Bridge being built. 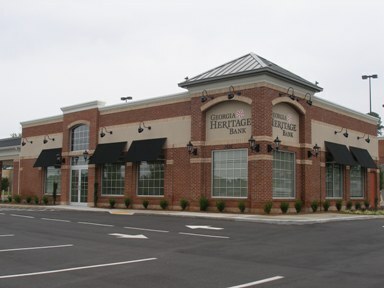 Each restaurant looked the same, with a brick and stucco exterior and and corner entrance with clerestory windows and an arched top. Additionally, construction costs per unit were reportedly about $750,000. A few odd things about the chain were that unlike a typical pizza chain. Donatos featured a drive-thru, something instituted by McDonald's to increase sales. Easily the most odd of everything, was that for inside diners, you would sit at a booth, or high top, and call in your order using a stationary phone at the table. This was both unique and annoying, but definitely made the restaurant stand out. Donatos pies were round, but cut into square slices, and as I recall, were reasonably priced for what you got. Lastly, each location had at least one PT Cruiser that functioned as a moving billboard and catering vehicle. The PT Cruiser was quite popular at the time, and to have so many with the company logo, all over town, was surely a great marketing idea. 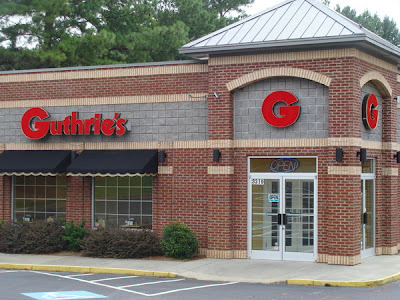 Evidently, the Atlanta market did not embrace the oddities and uniqueness of the pizza chain, as the area stores were not meeting company expectations. In November 2002, it was announced that all 23 Atlanta area locations would close. In the years since, many different businesses have taken shape in former Donatos. 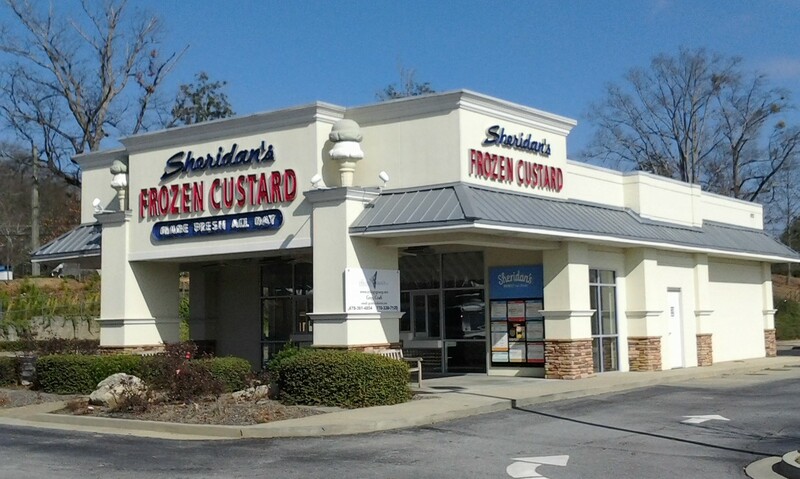 Some like Chipotle Mexican Grill (another former McDonald's concept) and the now shuttered Sheridan's Frozen Custard were more creative than others in disguising the building's former use. Please find below my compilation of most of the locations. 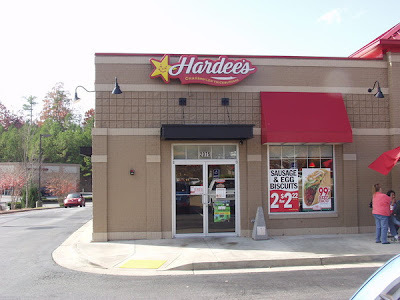 2075 Towne Lake Parkway (Woodstock) Hardee's, imagine that!
? (Douglasville) A parcel was secured but never built on. Site is now a strip center. I learned that that Drew Meyer, then President of The Atlanta Pizza Company, the franchise group that brought Donatos to Atlanta, has been involved in many other food service operations from Atlanta. 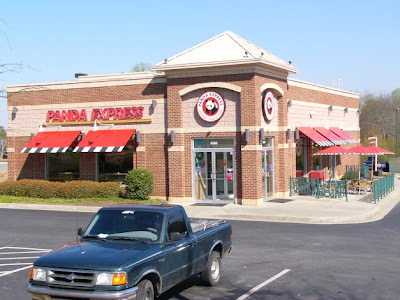 Before Donatos, Meyer was Vice President, Company Operations for Popeye's while immediately after Donatos, he was Vice President Operations for ROI, LLC, a multi-state Honey Baked Ham Franchise. Later he was President of Moe Food, LLC, a ten unit Moe's Southwest Grill franchise, one of the company's first. Today, Meyer is Senior Director at Habitat for Humanity ReStore and Gifts in Kind Support. The ReStore is an off price retail store that sells donated home products to raise funds for the organization. 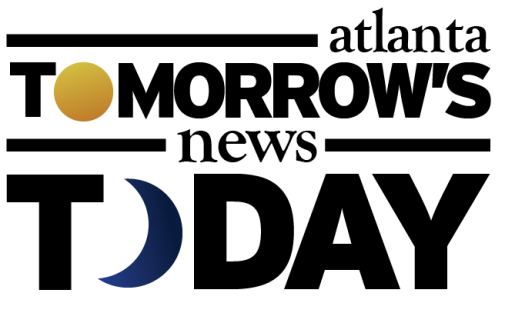 Recently, the organization announced tremendous growth plans for the operation. Interestingly, in my search for locations, I came across a rather interesting post on an Ohio State alumni LinkedIn page where "Jamie" seems to gauge the interest in having Donatos return to Atlanta. "Hey Buckeyes in Atlanta...how'd you like to see Donatos Pizza come back to town???" This question was posted last fall and received one enthusiastic response. Local real estate contacts also say that Donatos may, in fact, be targeting a return to Atlanta. It's highly likely if and when new locations do come to Atlanta that they will be endcap, inline locations, rather than free-standing buildings. This new inline concept is what the chain has built in their recent entries in both North and South Carolina. As I mentioned, the free standing buildings ran about $750K in construction costs and like El Poll Loco, while they each selected good locations, their real estate costs got them in trouble. Donatos, like other pizza chains such as Pizza Hut, have realized that they can do well without full service operations and instead increase delivery and takeout sales. For those of you locals in need of a Donatos fix, now the chain's Take & Bake pizzas are available at Atlanta area Kroger stores, even the one at Cofer Crossing where I first saw it. Additionally, customers can also order by mail via the chain's Pizza Parcel option. Do you miss Donatos? What was your favorite aspect of the former Atlanta Donatos in their pizza serving days? If Donatos did come back, where should they open? Phenomenal post Eli. Having spent a number of years in Ohio, I can absolutely vouch for Donatos - without a doubt the best "chain" pizza around, especially their pepperoni. Would love to see them make a measured return to atl. As a NYer, I guess I'm a pizza snob. Atlanta has enough nasty chain pizza. We don't need another!! 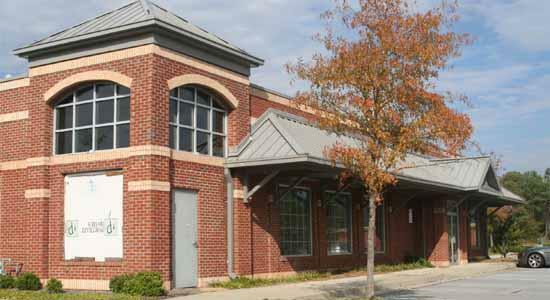 Are you sure about the Chipotle on N Druid Hills?! I have lived in the area for oh, way too long now, and I don't recall there ever being a Donato's there and was pretty sure they built it to be a Chipotle. If it was Donato's I'm kicking myself for never eating there! I too have lived in the Toco area my entire life. I can guarantee you that the current Chipotle started as a Donatos...around 99. I was there for the Grand Opening. Thanks for the comment and sorry you missed it then. Great work Eli. I could read these all day. I also find myself looking an empty buildings small and large to figure out what they used to be. Last weekend in Montgomery for a wedding we drove by several large empty ones that we could not place. Probably local chains we concluded. Always fun to drive by and say "oh that was definitely a K-Mart." Thanks for the great work. AJ, I grew up in the tri-state and Donatos was the real deal of an actually excellent pizza chain. We had them in Florida when I lived there and when I moved up here, they had recently closed. 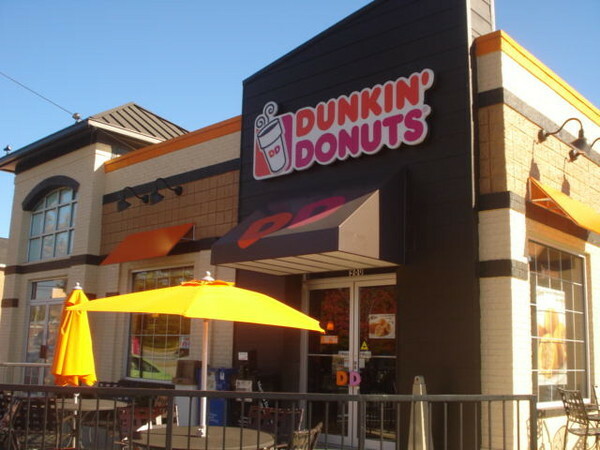 That first location on your list, from East Piedmont, went through a couple of other tenants before Dunkin Donuts. After Donatos closed, a barbecue restaurant called Potbellies took the space, followed by a Mad Italian for a couple of years, and then DD. 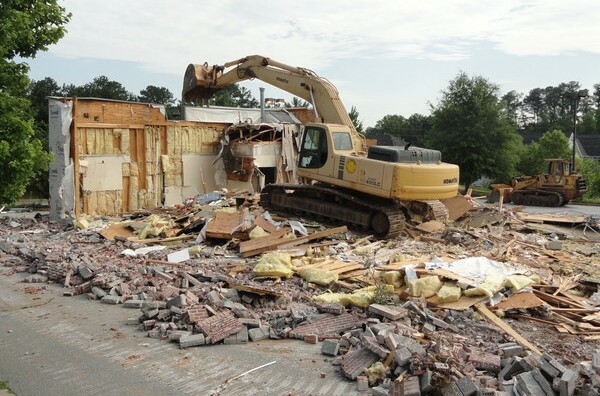 The former location on Sandy Plains Road, adjacent to a Publix, was also demolished to build a SunTrust after sitting empty for several years. I never went inside, but I did pick up pizza at the drive thru once to try it, and then again to make sure I didn't like it. Something was different about the cheese they used---there was some sort of controversy about that. Did they serve beer and wine? I don't think so, but that might have kept them around a little longer. Having been invoved in the building of all the Donatos in Atlanta this post brought back memories for sure. 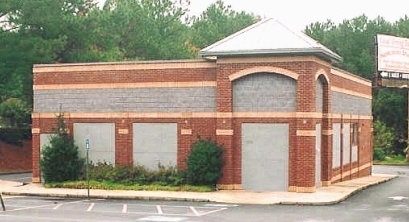 The Donatos in Toco Hills was one of the last locations built in mid 2001.  The downfall of Donatos can be traced to McDonalds switching to cheaper ingriedants and changing recipes to make money which went against donatos core principle of Quality first. This is a really great piece. It would be the envy of the Business Chronicle or AJC. Seriously. Thanks for the info. I kinda figured but was not so familiar with that area. Thank you, that means a lot. This was a time-consuming post and it's great to hear you appreciated it. I live around the corner from the Lucia's and I'm a little amused at the trees that have been photoshopped into the background; it actually sits in the corner of a strip shopping center's parking lot. I'd like to add that a location on Hwy 20 in Conyers is now a Starbucks. Back in the 1960's there was a burger chain called Burger Chef. The first one I went to was in Macon. There's one of those buildings standing across 41 and a little North from the Big Chicken in Marietta. I think it's an auto or auto insurance store now, but the sign is very distinctive. I've got to get by and take a picture of that before it gets torn down. I'm originally from Ohio and I worked in 2 different Donatos stores in the 80's and 90's. I was really disappointed when Jim sold out to McDonalds. The quality dropped almost immediately. I really miss the Midwest style thin crust with the toppings edge to edge. I dream of opening a shop like that down here some day to cater to all of my fellow Ohio transplants. Yes, please bring Donatos to Atlanta! I've really missed it since I moved here five years ago. Went back to Columbus last month to visit and got my Donatos fix. Haven't been able to find tasty, reasonably priced pizza (Mellow Mushroom=terribly expensively) in our area since we moved here. McDonalds must have ruined it, but the original owner, Jim Grote, has since bought it back. Bring Donatos back to Atlanta! Thank you so much for reporting on this... 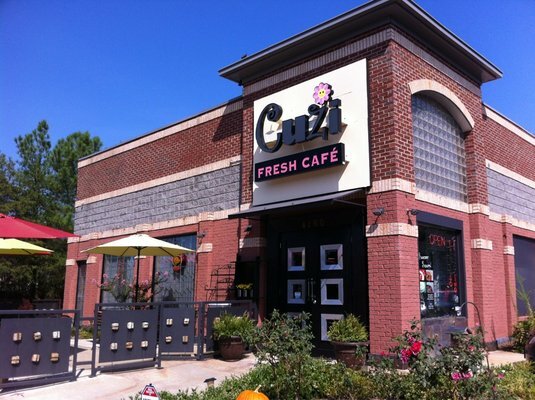 I own the Cuzi Fresh Café location on Old Milton Parkway in Alpharetta. We learned through our customers that it was originally a Donato's, but was not familiar with the franchise. Very interesting to learn about the franchise. When we renovated and opened, the building had been empty for several years and had been Styx prior to us taking it over. I later noticed other buildings in the area that have a similar appearance and it is nice to know the complete history. Wow, I would have never known that Chipotle was a former Donatos! I remember when these sprang up all over the area. I never ate at one. I went to the former Donatos location in East Cobb on Piedmont Rd/Rosewell Rd when it was a BBQ place and then when it was a Dunkin Donuts. As always, I love reading the information you have compiled! 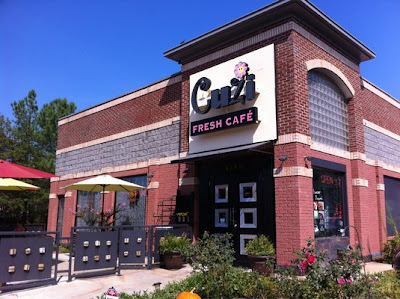 I realize this is 5 years too late (I just found this blog today)however in response to the comment from Atlanta99 dated 2-6-13 there was definitely a Conyers location because I got take out several times and it was turned into a Starbucks.